NB: I originally wrote this post in September 2016. To give it some context, I had given birth three months before and I was still on maternity leave. I wasn’t feeling cute and I was terrified of admitting some of the below. I decided to still share it because even though I’m not feeling this way now, I did feel it a short while ago and I think it’s worth sharing it. Low and high points are equally valid and I need to keep it real with you. A few months ago, I posted a photo of myself on Instagram with my 8 month old TWA. I had posted this to encourage other women who were in the beginning stages of their hair journey to keep going. At that time, I felt like my hair was reaching an awkward stage and sometimes felt unsure about where my fro was going. That photo and its reactions inspired me to write this and how I was doing on my hair journey. Emphasising the word journey. I feel like it’s easy for you to look at me and think that I’ve got it all figured out when actually, this was a very difficult post to write because the last few months I haven’t been feeling like I want to talk about my hair. Not because of anything bad but because I don’t have much to say really. My lifestyle has completely changed and it’s really affected my hair. It’s all good and well if you don’t have a full time job or you don’t have children or you don’t have to commute several hours a day to work. All of that really affects how certain things are your priorities and how much time you can spend on beautifying yourself particularly dealing with your hair. So in a way, I’m really grateful that I started my hair journey when I had the time (I was unemployed) and the allowance in my life to actually spend time on it in figuring it out and developing that relationship but if I were to start over now, I think I could’ve buckled and given in to the relaxer. I mean, I haven’t missed or thought or even lusted after relaxed hair for a good 5 years. That’s pretty much the entire time I’ve been natural, until this year. I was heavily pregnant and I just didn’t have the time or energy. I would wake up sometimes and think okay, now what. Now what?! How am I supposed to deal with this hair, above everything else; morning sickness, mood swings, feeling emotional, tiredness, aches and pains. It’s one more thing to think and worry about and that’s a reason why I decided to wear wigs as well as for the protective styling purposes of it all. But then I recently saw my mom’s relaxed hair and I thought wow, it’s beautiful and I saw another woman somewhere and I thought that’s really nice. For the first time. Ever. I realised that a bad relaxed hair day is much more forgivable than a bad natural hair day. That for me is a fact – at least with my hair. It might not be the case for other people but waking up in the morning with relaxed hair, I would just quickly tie it in a bun or comb it quickly. It wouldn’t take long to do. 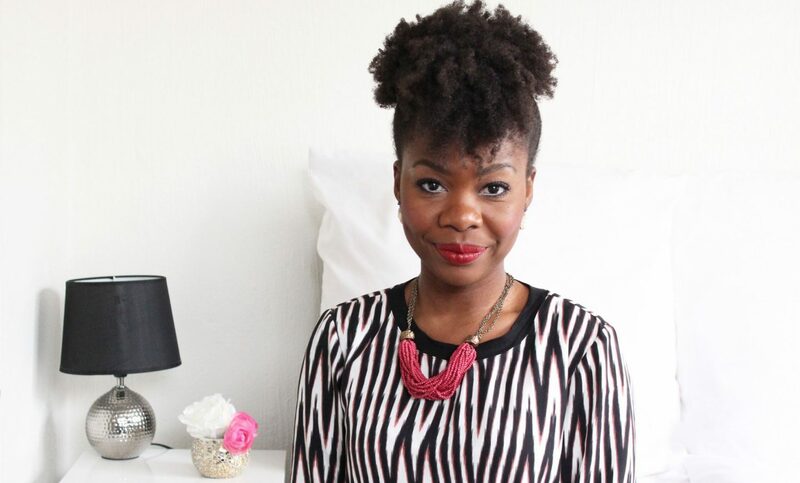 With natural hair – sometimes the twist out doesn’t work out or the braid out doesn’t look right or you fell asleep before you could set your hair for the next day and then it’s squashed and it’s just looking a hot mess. I have some things to help me out on those days but like I said, relaxed hair is more forgiving. Sharing my photo made me realise that there are women out there that look at me and think that I’m an expert, that I have it all figured out. And most of the time I do, especially compared to three, four or five years ago. I’m much more confident about it but it doesn’t mean I’m 100% immune to the temptation. Or immune to the lust or immune to mentally slipping every once in awhile. I feel like it’s an addiction. There’s something every addictive about straight hair. It’s like a person on a diet and there’s fast food ads everywhere that they turn. Eventually, no matter how strong that person is, that little thought creeps back in every once in awhile and that’s where I have been some of the past year. It hasn’t crept back enough for me to book the relaxer appointment with the salon but just that in a vulnerable situation, it’s very easy for certain thoughts to creep back into your head. So this isn’t easy for me to admit to. Because I know that there’s a perception of me as an expert. I don’t think I ever will be because like I said, it is a journey. I recently watched an episode of Wendy Williams. She’s talked about how she’s struggled with weight issues almost her entire life. One of her audience members stood up and asked for her advice on when she goes to family get togethers. Her family eats a lot, and she struggles when she gets there because that’s her vice, it’s her thing. And in a way I can understand that. Not to say I’m likening my hair journey to someone trying to lost weight, but a struggle is a struggle. And I was able to appreciate and relate to her story because of the struggle element to it. So many things really influence my hair care, routine, products that I use. I’ve had breakage, dandruff, worry of a receding hairline. I’ve worried if I can even get out of the creative business and still rock my natural hair. It’s a journey and there’s no end in sight. That’s the beautiful thing about it because if I do have a crappy day, I know that I can try better tomorrow, I can encourage myself to try again the next day. I’m at that point in my journey where I still have to reinforce and remind myself why I went natural, why I’m still natural. Why it’s the right thing for me to do. I love my hair, and just like with my any other relationship it has its ups and downs. I’m trying to find a routine that’s best for both of us. Not something that just works for my hair but something that also works for me. I’m not cool with leaving other important things in my life to slip up because I don’t have enough time for them but I’m making time for my hair. It needs to be balanced. It needs to feel right and make sense. Please don’t feel discouraged if or when you start feeling like I do. If it helps to look at other naturals, then do so. Doing that actually makes me feel even worse. Sometimes it doesn’t help me and makes me think: why am I not there? Why isn’t my hair that big? Why isn’t my hair that black? Why isn’t my hair that long? Why isn’t my hair _________. So switching off or taking a pause from things really helps. I’ve had a few people hating on me now because I’ve been wearing wigs. But I’m not wearing these wigs for you, I’m wearing them for me, for my sanity and for me to still love my hair and miss it and appreciate it at a time when I’m not really appreciating it. That’s when I know I’m having a low point. It’s when I’m feeling vulnerable and can slip up. In a way, it’s my way of taking matters into my own hands and distracting me a little bit. This is what works for me. Do you. At the end of the day, that’s all that matters because nobody else is living your life. Nobody else has to put food on the table. Nobody else has to go work their asses off for your family. Nobody else has to take care of your child. Nobody else has to be your husband’s wife. All of those things that we have to face as women in a very patriarchal society who expects us to do all of that and still look cute and have our hair be our glory. It’s hard and almost impossible and something’s got to give. Natural hair is not easy. The hair itself isn’t the problem though. My issue and my observation is it’s other factors. It’s the media, it’s society, it’s people. We’re still going against the grain. Natural hair seems to only be beautiful when it looks a certain way; when it’s combed, when it’s tied a certain way or it’s a certain length and I’ve experienced all of that. I’ve experienced the negative comments whether spoken aloud or thought of. People’s actions and reactions to how my hair looks are very different depending on how I’ve styled it. I’ve experienced it all and it’s something I have to keep dealing with almost on a daily basis. Maybe the word struggle isn’t the right one – maybe it’s more a challenge. So, I still have challenges. And that’s the whole point of sharing my journey on my blog. It’s to let other women know that look, I’m just a normal woman who’s trying to figure out this whole natural hair thing as well. This is my journey. It’s far from over. I’m still going through things. Granted, I’m in a much better place now than I was 5 years ago, that’s for sure but the struggle is still there. The struggle is real. Have you ever been tempted to relax your hair again? 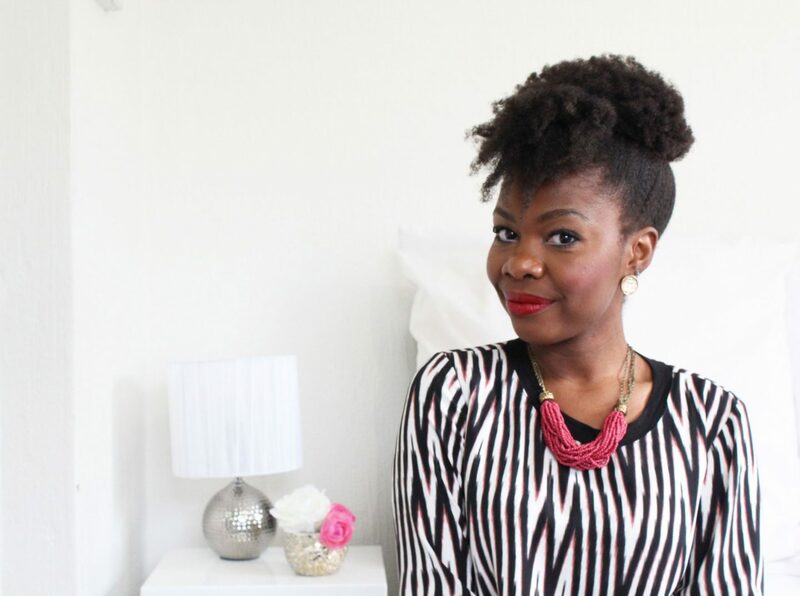 What challenges, if any, have you been met with on your hair journey? How did you get through it? Hello Aisha, thanks for sharing those feelings with us. I believe like you that relaxed hair seem more forgiving when you put less effort in it, but again “more forgiving” according to which standards? “The straight hair”! We have been told for sooooo long that our hair is ugly, so it is going to take a long time too before our hair, a bit “neglected” is not seen as super ugly.